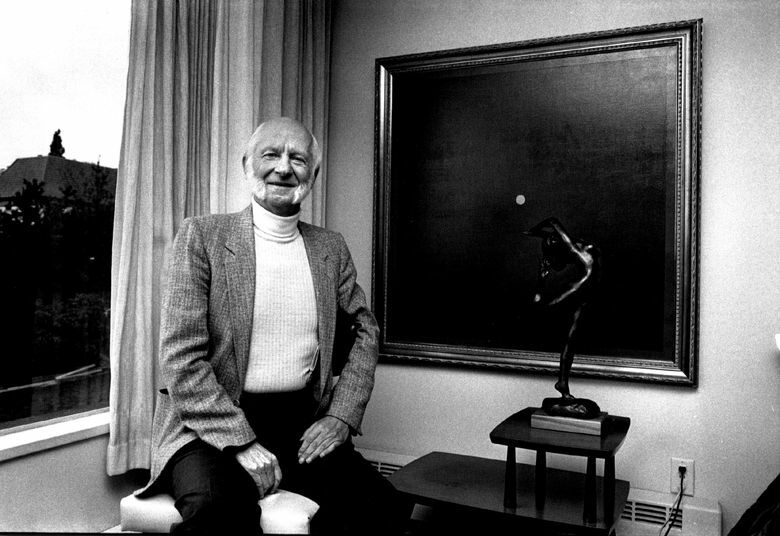 Physicist Hans Dehmelt, the first University of Washington professor to win a Nobel Prize, died earlier this month. 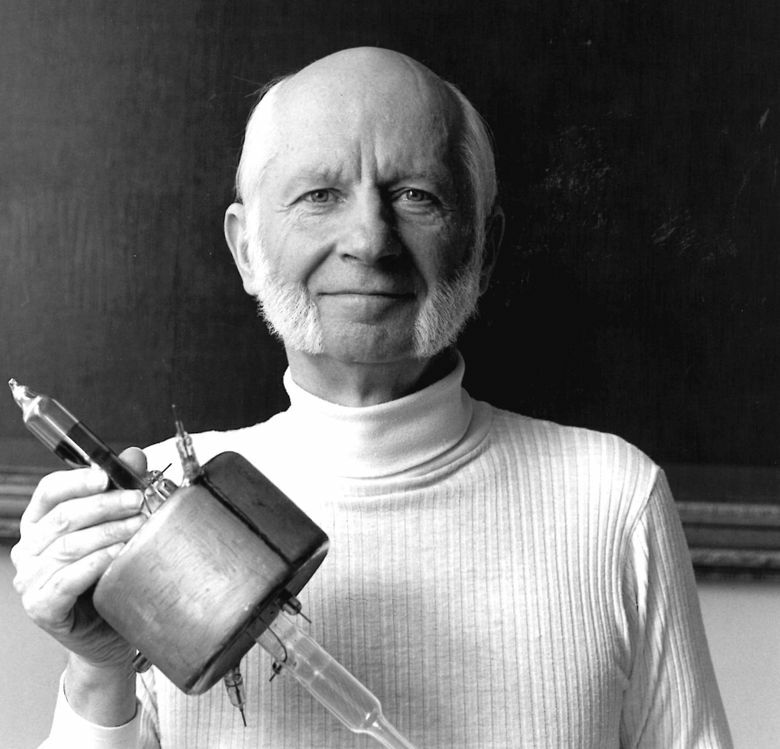 Hans Georg Dehmelt was the first professor at the University of Washington to win a Nobel Prize, honored for helping create an elegant, precise technique to trap charged atomic particles so they could be studied and measured in near isolation. The German-born physicist, who spent most of his career at the UW, died earlier this month after a long illness. He was 94. Mr. Dehmelt was 67 when, on Oct. 12, 1989, he answered his phone before dawn and learned he and two other scientists had been awarded the Nobel Prize in physics. He immediately called Diana Dundore, the physician he’d been dating, and asked her to marry him. Six other UW faculty members have since won Nobel Prizes; four are still living. One is Professor David J. Thouless, who won a Nobel Prize for physics last year. Mr. Dehmelt, who was born in Germany in 1922, came to the UW as a visiting assistant professor in 1955, and never left. He developed a method to trap, or isolate, a single elementary electron, said Robert Van Dyck, a UW physics professor emeritus who worked with Mr. Dehmelt. “This can be done indefinitely as long as the external magnetic field, cryogenic environment and electric trapping forces are maintained,” Van Dyck said. The device is known as a Penning trap. Mr. Dehmelt’s electron-trap technology is being used at the UW now in an experiment attempting to measure the mass of a subatomic particle called the neutrino. The present standard model predicts the neutrino is massless, but “if a nonzero mass is determined for the particle, then it would suggest that there is physics beyond the present model that would need to be investigated,” Van Dyck said. Mr. Dehmelt’s methods and discoveries are also being used in efforts to develop quantum computers — computers that, theoretically, would be able to solve complex calculations much faster than it is now possible to do, and create more complex encryption methods, Van Dyck said. In the 1989 Seattle Times interview, Mr. Dehmelt told the newspaper that his interest in atomic particles dated back to when he was a10-year-old amateur radio operator. It became Mr. Dehmelt’s life’s work to isolate an individual atomic particle at rest, “so you can study it to your heart’s content,” he said. Mr. Dehmelt shared his Nobel Prize with Wolfgang Paul at the University of Bonn and Norman Ramsey of Harvard University. 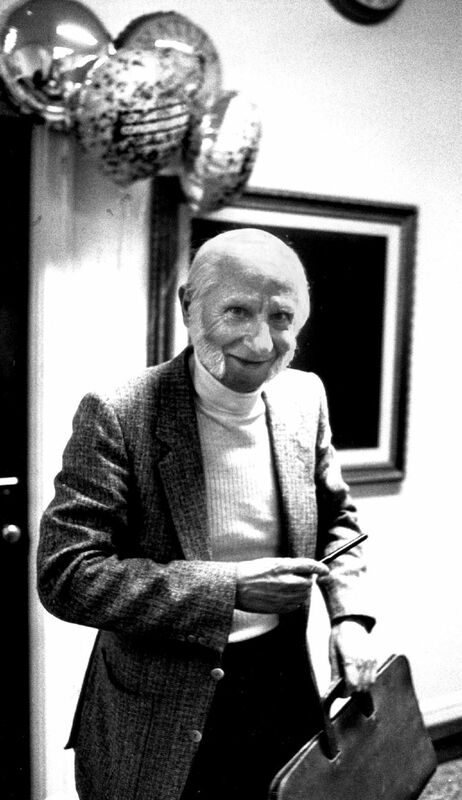 Mr. Dehmelt was elected to the American Academy of Arts and Sciences in 1977 and to the National Academy of Sciences in 1978. In 1995, he received the National Medal of Science from President Bill Clinton. He met his wife, Diana Dundore, a local physician, at a reception for the Pacific Northwest Ballet. He also loved classical music, especially the works of Beethoven and Stravinsky. He practiced yoga, and he and his wife took daily walks around Seattle. Dehmelt was preceded in death by his first wife, Irmgard Lassow; his son, Gerd; his sister Brigitte and brother Bernard. He is survived by his wife; grandson Leif Dehmelt, a cell biologist in Germany; and a great-granddaughter. No services are planned. Remembrances can be made to the Hans G. Dehmelt Prize in Physics at the UW Department of Physics, an award given to a UW undergraduate or graduate student for outstanding achievements in the area of ‘table-top’ experimental physics.